My hubby travels a lot and I used to freak out if he won’t reply to my messages. My son’s college is about 1 hour far from my place and he goes there on his 2-wheeler. I used to worry extremely much about his safety because everyone knows how terrible Bangalore traffic can be. I can say I used to freak out if anyone was late coming back or won’t reply to my messages. Knowing that I may attract these very things into my life, I may end up manifesting this fears into reality, I decided to take some actions against it. I decided to take two steps; heal my ‘worrying’ problem and protect my loved ones. And trust me, I have been doing this since long now and I am totally happy and not a worry freak anymore. You can form your own prayer in your own wordings. Michael’s wings – As soon as any of my family members step out of the house, I call upon Archangel Michael and ask him to envelope _____ (name) in his wings. Crystals – Malachite (Guardian angel stone for travelers), Amethyst (repels negative energies), Moonstone (traveler’s stone as per folklore), Smoky Quartz (keeps you grounded during chaotic moments), Black Tourmaline (protection), Tigers Eye (brings luck and protection during travel), Hematite (stabilize and grounding). There are more crystals you can use like Turquoise, Carnelian, Red Jasper etc. You can carry all or any stones while traveling. Carry tumbles or wear as a jewelry. Make elixir and sip throughout your trip. Place in the car, make keyrings or place in the trunk of the bike (dikki). Reiki Bubble – Imagine a big bubble of purple color. Imagine your vehicle inside the bubble. Draw CKR and give Reiki to the bubble with the intention that “only positive energies are allowed inside this trouble. All negative energies, lower energies, entities and all form of psychic attacks are blocked by this Divine bubble”. Archangel Michael – Ask Archangel Michael to be with you or your loved ones whenever they are going out. Switchwords – Take a printout and put it in your vehicle. Try any or all the above methods and travel safely. Amazing! Thank you Thank you Thank you! 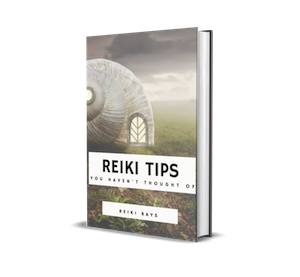 one of my biggest fears is the safety of my loved ones, Reiki guided me to this article! Thank you Reiki Rays! Thank you Rinku!